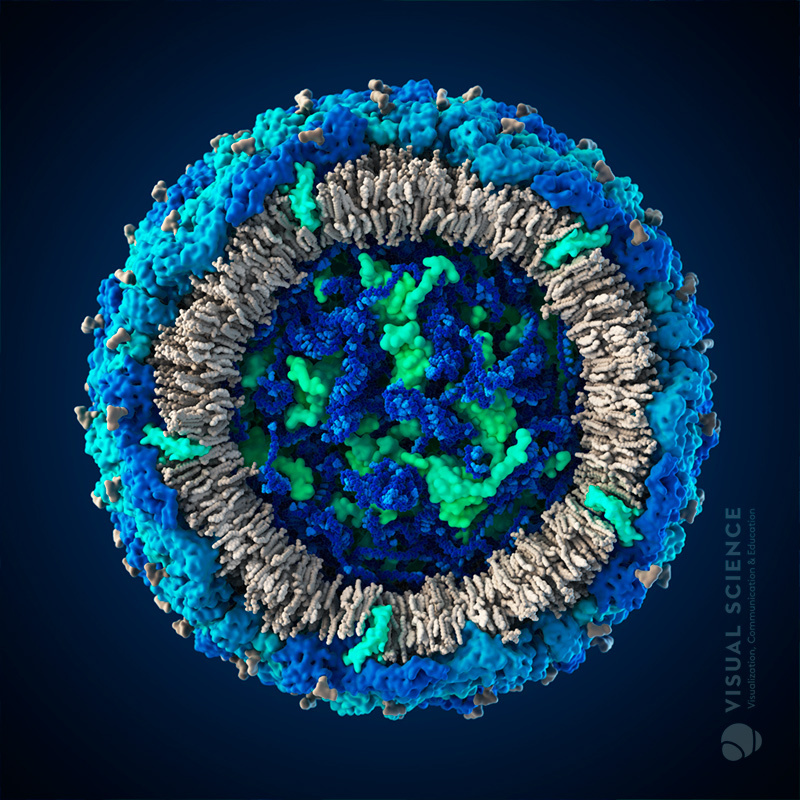 The model of Zika virus is a part of the non-commercial educational project Viral Park, which was launched by the Visual Science in 2009. The project includes models of HIV, influenza A/H1N1, adenovirus, Ebola and papilloma viruses. Models and visualizations of the Viral Park received Science Magazine and National Science Foundation awards, appeared on the cover of Nature Medicine special issue, were published in the NY Times, Vaccines textbook, Cell journal Picture Show and were included into presentations of the Nobel Prize winners. The Viral Park models are made in atomic resolution, and are built based on the latest scientific data and computational biology simulations. The models sum up all the available information about the structure of the most widespread and dangerous human viruses and may act as a stand-alone scientific reviews in a graphical form. © Copyright 2016 LabMol. All rights reserved.